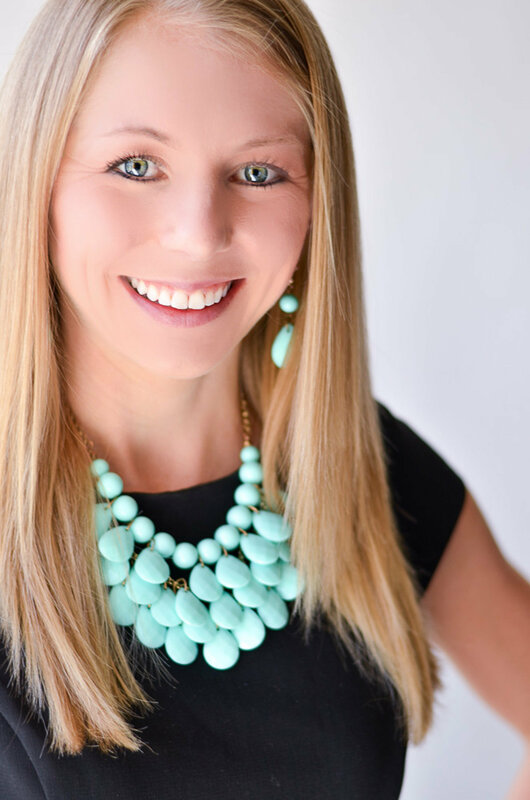 When Kevin and I started dating, we each had “our” sports teams – the Tampa Bay Buccaneers for him, the Dallas Mavericks for me. Luckily for both of us, “our” teams were in two different sports (football for him, basketball for me) – otherwise the relationship might not have worked out so well! 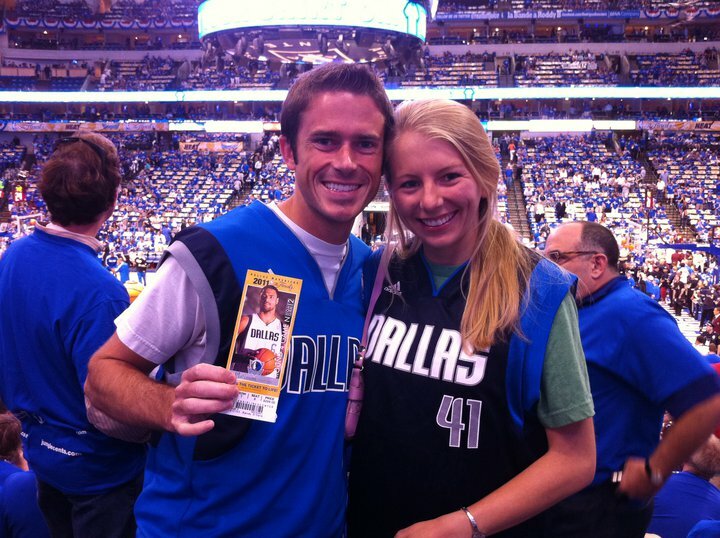 I sometimes joke that it was in our “marriage contract” that I had to become a Bucs fan, and he had to become a Mavs fan. That deal may or may not have involved a 15-hour trip to Dallas to see Game 4 of the NBA Finals, leaving about 30 minutes margin for error to return to Chicago to take a final exam during Business School… #SOworthit. That entire story was a long-winded way of saying that we are each die-hard fans of our teams. So, when Fall Sundays (or Thursdays, or Mondays) roll around, you’d better believe that the Bucs are on TV in our house. Long hours of football watching might mean long hours of unhealthy snacking if we’re not careful, so I always try to have some healthy snacks around to allow us to munch guilt-free. Generally, this means veggies and hummus or salsa, cut-up fruit, or some health(ier) cookies. 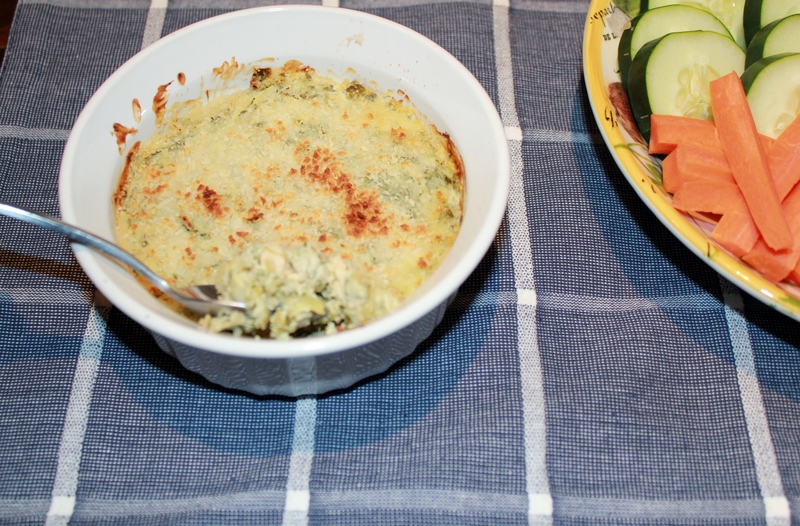 But this past weekend, I had a craving for warm, cheesy, spinach artichoke dip that I just couldn’t shake. I’m all about indulging every once in a while, but the average spinach artichoke dip ordered in a restaurant has 1,600 calories, 100g of fat, and 2,500mg of sodium – that sounded like a bit much! So I set out to create my own healthified version … and I came out with a winner! (Good thing I did, because the Bucs … well, not so much). 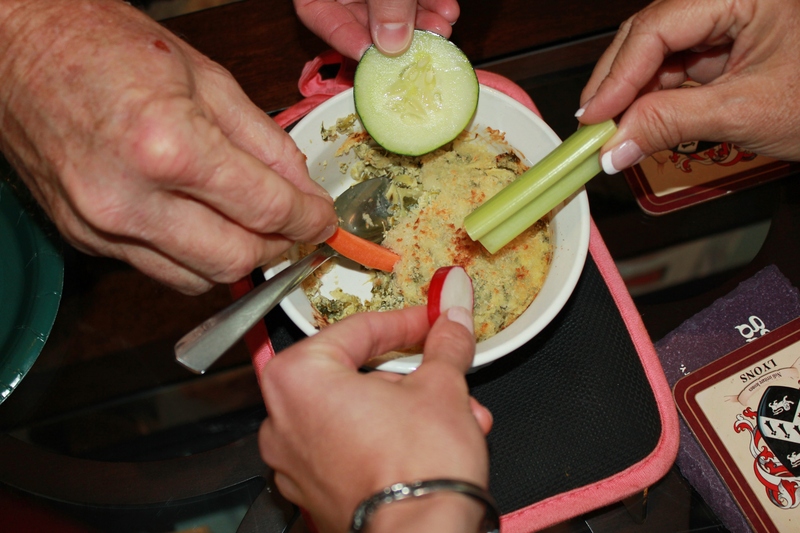 You’ll never know that this warm, cheesy, delicious dip is loaded with protein and veggies! Serve as an appetizer with cut-up veggies or pita chips. 2 wedges light Laughing Cow cheese (I used Sundried Tomato & Basil flavor, but I’m sure any of the light flavors will work). Could also use 2 ounces of cream cheese. In covered, microwave-safe container, steam kale 1-2 minutes or until tender and wilted. 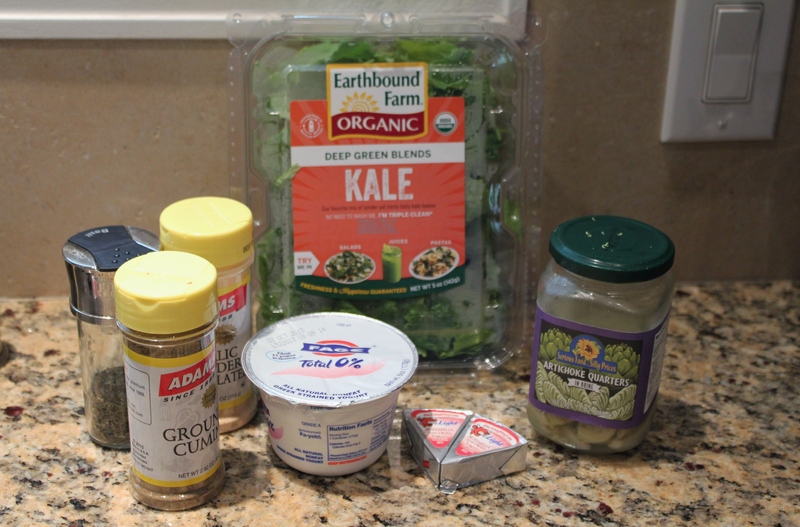 Place cheese, yogurt, kale, and spices in food processor or blender (I used my Vitamix). Process until well-combined. You may have to use a spatula to loosen the parts under the blades so it all gets mixed up well. 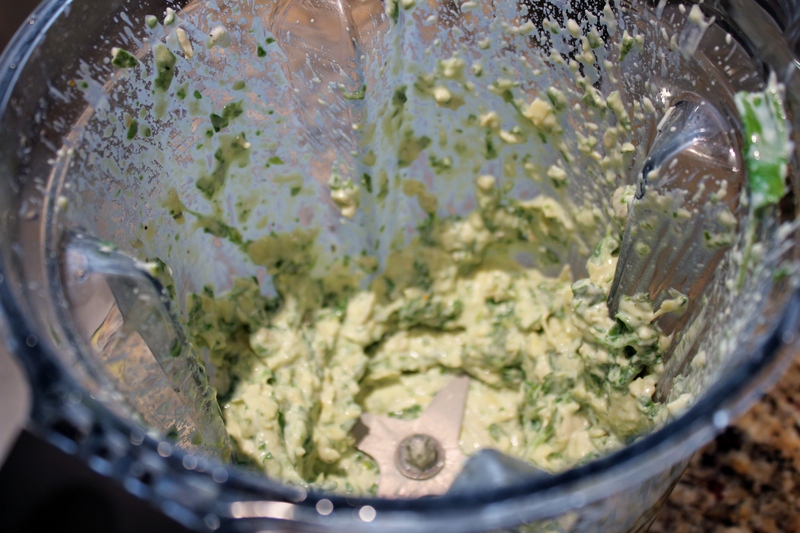 Add artichoke hearts to blender or food processor, and pulse until artichoke hearts are in small, well-incorporated bits. Spoon mixture into baking dish or dishes. I used 2 16-oz. dishes. 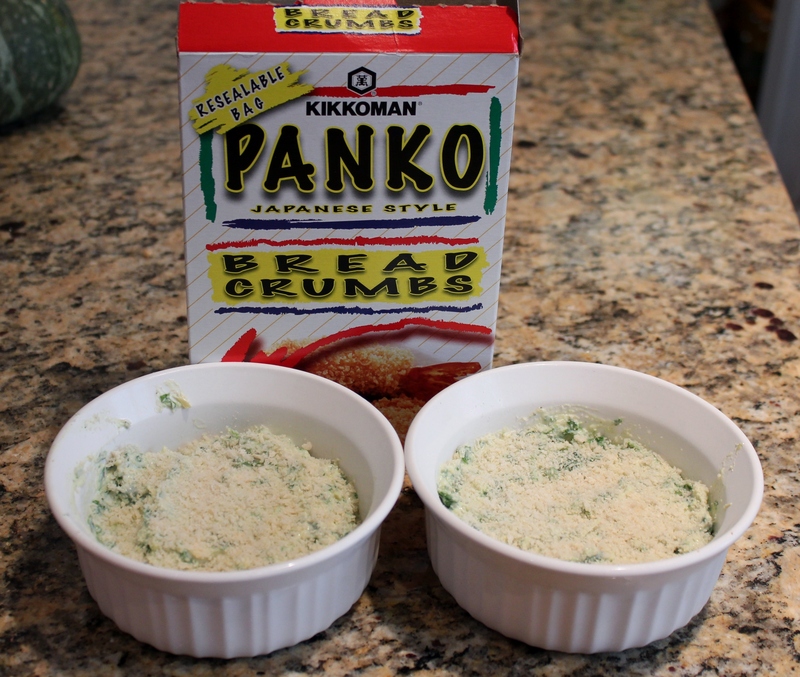 Sprinkle panko breadcrumbs on top of kale-artichoke mixture. Bake for 25 minutes, then broil on high for 2 minutes so panko gets slightly browned. Get ready for these stats … for each (small) serving, there are just 38 calories, 1g fat, 5g carbs, and 4g protein. So eat up! So tell me in the comments … are you a sports fan? What’s your favorite healthier snack to eat while watching sports (or other TV)? 38 calories!? So like just over 300 for the whole thing?? Haha, yes Robert … 304 calories for the whole thing, so go to town! Even though the portion sizes I list are small (because a “standard” dip portion size is 2 tablespoons, so I tried to stick to it), I think you’ll see that you don’t need that much because it’s packed with flavor! Haha! Just thinking this could be a great entree, or even spread on a crust for a great mini pizza! Love it as a spread for a pizza. OK, confession – I mixed some leftovers with canned tuna to make a tuna “salad” … sounds disgusting but it was awesome!! This stuff is versatile :). Well since I have a love affair with kale, this sounds delicious. Problem is I would probably eat all 8 small servings myself. Whoops. Like I told Robert below, no worries if you end up eating the whole thing – call it a healthy indulgence :). I can easily imagine eating 4 servings (one of my little ramekins), and just think of the veggie power you’d be getting from all that dipping! Hope you enjoy! I often wish we had a college team to pull for, but neither of us are that into college sports since our school was less-than-amazing sports-wise, to put it nicely! This being pinned for my next potluck!!! Awesome! Hope you (and your guests) like it! Don’t feel “guilty” about not liking sports! I was the same way – I danced from the time I was 3 all the way through part of college, and never played on any organized sports teams. I always used to hate watching sports until somehow in high school I got super into the Mavericks (and we weren’t even good then!). Now I really enjoy football and basketball, but if you really think about it, getting so emotional about people you don’t even know hitting a ball all over the place is pretty silly, so maybe you’re the smartest of all of us :). Oh my! You have rocked my world with this recipe! 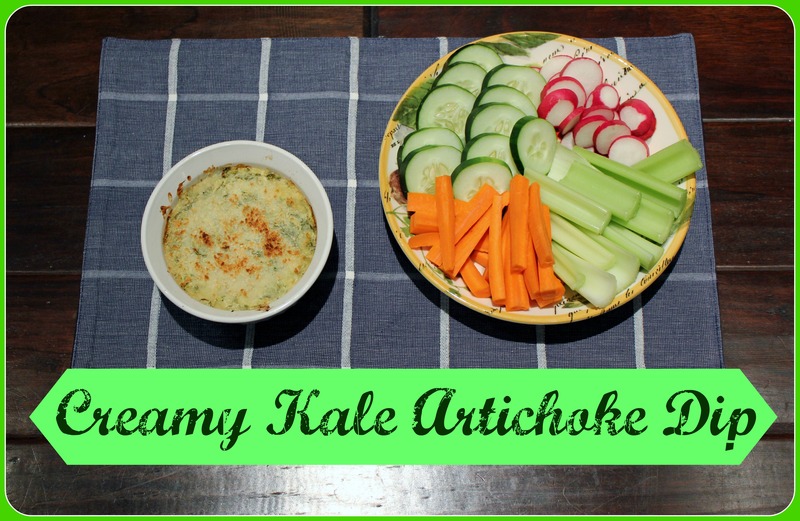 I can NOT wait to try this kale artichoke dip! Haha, that made me smile :). I hope you enjoy it, Jillienne! this sounds AMAZING and i saved it and sent to my mom – i hope she makes this for our next football get together! i wish i had time to make it and bring it to a tailgate i’m attending tomorrow, maybe the next one! Moms are great for that kind of thing :). Good news is there will always be another tailgate, and the recipe will be waiting for you! Have fun at the tailgate tomorrow! This looks so good! 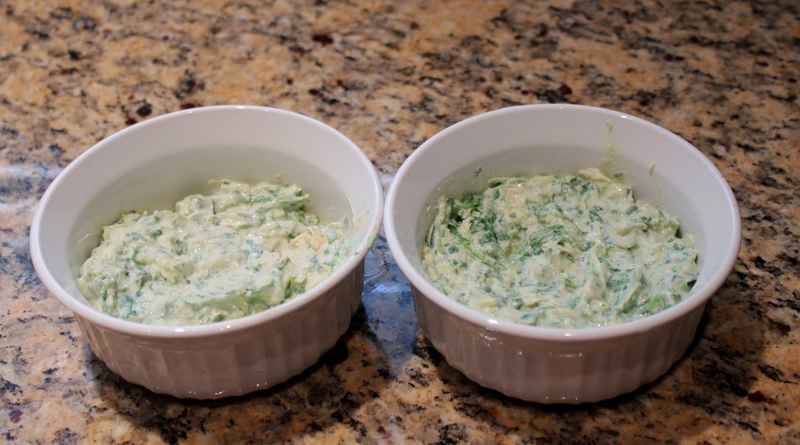 I first tried spinach artichoke dip when I was in America and fell in love- this healthy alternative is definitely one for the books! Hope you try it and enjoy it, Arman! So sneaky, Jill :). All in the name of health, right? !